Fall bucket list — what experiences do you want to have / what do you want to spend time doing this fall? While I hate to say Good-Bye to the Dog Days of Summer (read about the meaning of Dog Days here on WANAfriend Elizabeth Fais’ blog), I realize that fall is just around the corner. Our nights are getting a bit nippier and average daytime temperatures are dropping, too. 3. Buy mums and pumpkins at a farmer’s market for the entryway of my house. Buy a basket of apples for making apple pies. 4. 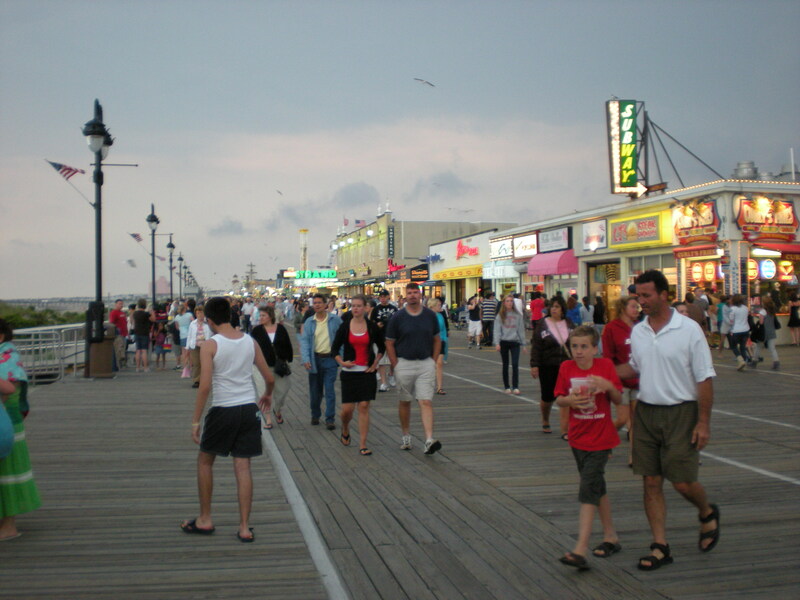 Make one last visit to the Ocean City Boardwalk. This trip has its own bucket list. It’s gonna be a long day to get all these activities in! Buy a new Jersey Girl zippered, hooded sweatshirt. You can never have too many Jersey Girl sweatshirts! Get a bucket of boardwalk French fries. Watch the taffy-making machine at Shriver’s Salt Water Taffy and fill a bag with my favorite flavors: molasses, chocolate mint, chocolate, licorice, green apple, and a few more. Buy Manco & Manco pizza for dinner. Walk the length of the boardwalk and back (five miles) to work off the French fries. 5. Keep my blog going. Add two or three posts a week. 6. Visit my sister in California and explore the San Diego area. Maybe I’ll get to meet Zoey the Cat who lives out there! Here’s a sneak preview of the San Diego Waterfront: Tall Ship Parade, 2013, Festival of Sail in San Diego by Russel Ray. 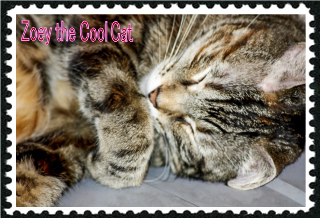 And here’s Zoey the Cool Cat now! What a cutie! 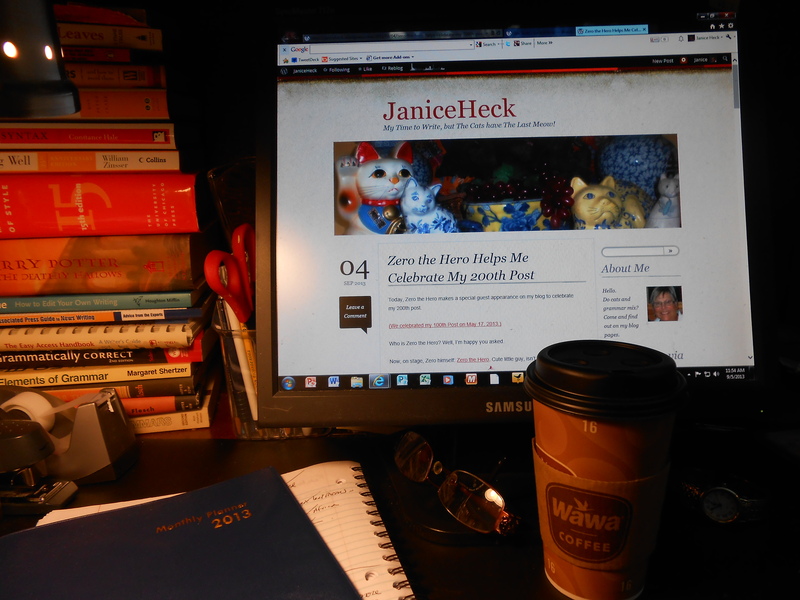 Here are a few other WANA112s who have written about their fall bucket list. Liv Rancourt…What’s On Your List? A cat’s bucket list? Well, same as always: Eat, play, sleep. 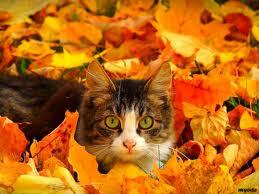 But maybe we can add playing in the leaves to that list. What’s on your bucket list for the fall? Put your link in the comment section of this post. What a fun fall you have planned. I really need to start reading our WANA112 FB pg and participate. Only problem is Friday is Miller Farm Day and I also love my daughter’s posts. She’s developed quite a following that has helped Mom’s blog stats. Thank. I’ll do my best. I love your list and it actually made me homesick! Wawa has the best coffee and I miss the boardwalk in Ocean City. The fries canNOT be beat!